We are so excited that our brews cruise was a total sold-out success! Thanks to Alanna for booking the boat for her graduation party – what a great idea. 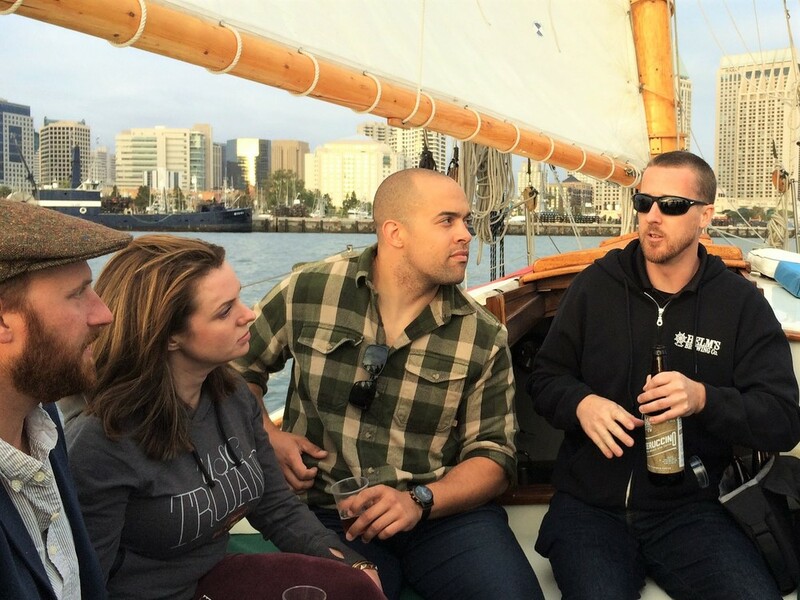 She was thrilled because her Dad was Navy and her parents are home brewers, so she knew they’d love to here what Matt from Helm’s Brewing Co. had to say about crafting beer while sailing around the San Diego harbor. Previous Post« Previous Luxury Travel Awards: Shortlisted! So cool! I’m glad to hear you’ll be doing it again soon. This is awesome! I’ll definitely be on the lookout for the next one! Hi Carrie – You are first on our guest list for the next for sure!! !